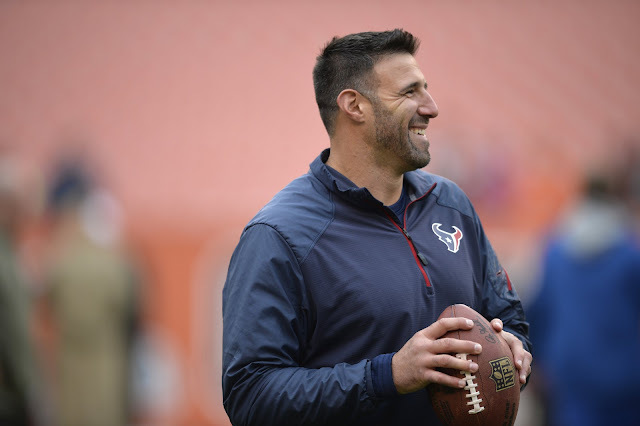 Former New England Patriots linebacker Mike Vrabel is such a rising star in the coaching ranks, he is freeing up Houston Texans head coach Bill O’Brien to do what he does best. Vrabel, who took over the Houston defensive coordinator spot from Romeo Crennel after the 2016 season, has assumed control of that side of the ball, and that comes at the perfect time. O’Brien, the former Patriots offensive coordinator, is now focusing on his offense full-time. After a season-long disaster with Brock Osweiler, Houston has a quarterback battle brewing with Tom Savage and rookie No. 1 pick Deshaun Watson out of Clemson. Godsey is gone. So is Osweiler, and that leaves O’Brien and his fresh cast of QBs. The head coach could not do that without the 41-year-old Vrabel, who was considered for a couple of the head coach openings this past offseason, despite just six years in the coaching ranks.